Hidden away at the rustic and relatively unexplored Portsdown road is Wessex Tavern, a quaint English-style cafe that serves delicious Western food and is a great place to head to for brunch. This place was set up by none other than the younger generation of the Colbar family, so you know that they will only serve you the very best of hearty grub. They have both alfresco and air-conditioned dining, so you can take your pick depending on how the weather is like. The cafe’s interior is nice and spacious, and the whole place is decorated in a very rustic manner, making you feel like you’re being taken back in time to an old-fashioned cafe. 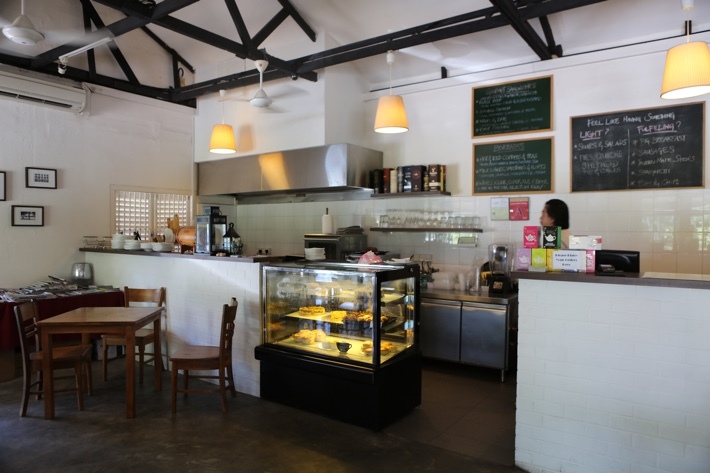 In terms of food and beverages, they serve lots of great breakfast, brunch and lunch options such as Bangers & Mash (S$14), Big Breakfast (S$15.80), Tavern Pan-Fried Salmon (S$15.80), Homemade Shepherd’s Pie (S$8) and Homemade Beef Stew (S$13.80). 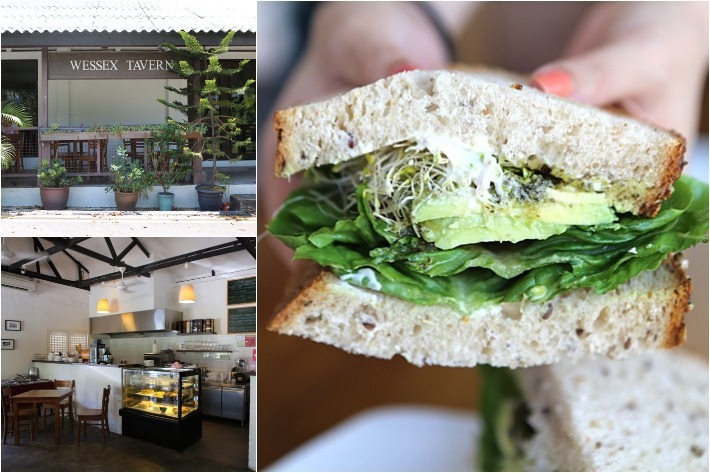 We decided to try their Avacado Sandwich which was served on multigrain bread with romaine, rocket, tomatoes, and alfalfa (S$8.90). The bread was a bit too hard for our liking, but that was just due to the nature of multigrain bread, so if you enjoy multigrain bread this would be perfect for you. 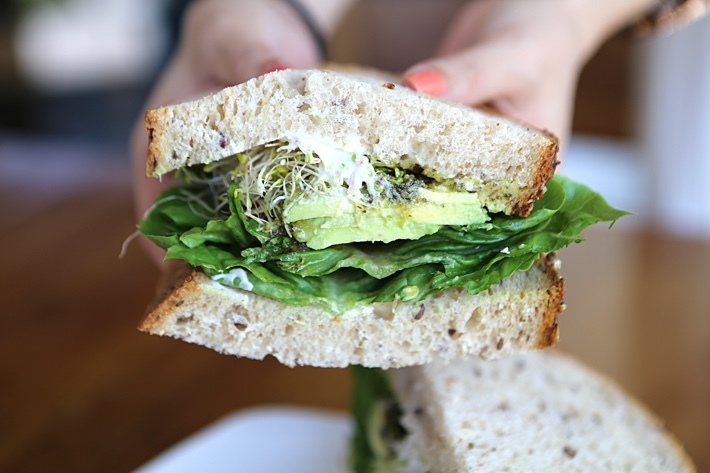 The bread was stuffed from edge to edge with vegetables and generous chunks of avocado, so much so that we had a hard time holding it even with both our hands. All in all, we feel that it was really worth the money even though it sounds very expensive. Wessex Tavern really is a hidden gem that is worth exploring if you’re ever in the area. We recommend that you come here if you’re looking for a place to get away from the hectic city life.